The first time I visited Electrum Gallery was seven years ago when I was fascinated with the quantity and variety of jewelers who showed their pieces there. At this visit I saw that they had made renovations – the lower floor is no longer open to the public and the number of exhibitors is reduced. 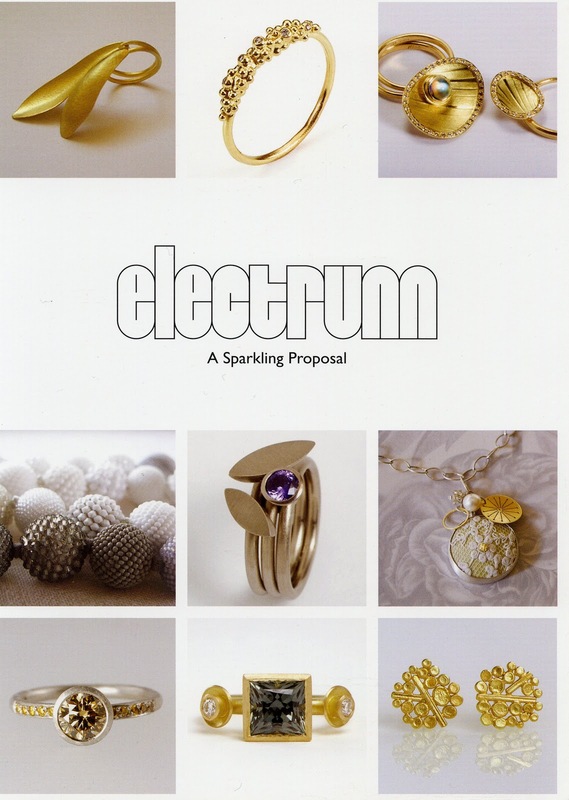 Electrum, which continues to dedicate itself to contemporary jewelry, has become a part of CAA (Contemporary Applied Arts), an organization created to promote the best in contemporary British craft. Vaig visitar la galeria Electrum per primer cop fa set anys i em va fascinar la quantitat i varietat de joiers que hi mostraven les seves peces. Ara han fet reformes, el soterrani ja no és obert al públic i s’ha reduit el nombre d’expositors. Electrum, que continua dedicant-se exclusivament a la joieria contemporània, ha passat a formar part de CAA (Contemporary Applied Arts), una organització creada per promocionar el millor de les arts aplicades britàniques. 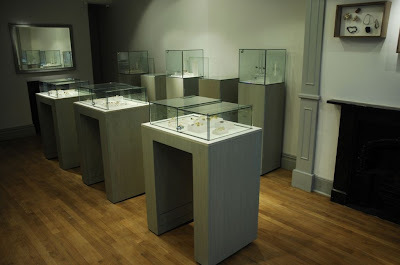 At the CAA Gallery you can visit exhibitions from different disciplines and there is a permanent space for contemporary jewelry that is restocked approximately every six months. A la galeria CAA s’hi fan exposicions de les diferents disciplines i hi ha una part dedicada a la joieria contemporània que es va renovant aproximadament cada sis mesos. 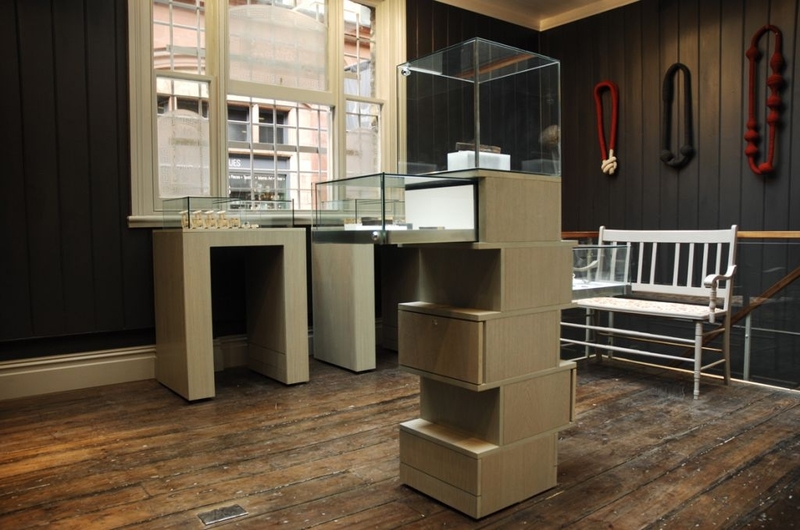 In Electrum‘s shop window I saw jewels by Rita Back, Lina Peterson, Polly Wales, Jane Adam, Sarah Lindsay and Karen Bartlett. In CAA‘s showcases I saw jewels by Stacey Bentley, Nina Bukvic, Sarah Keay, Clare Hillerby and Jennie Hancox among others. A l’aparador d’Electrum vaig veure peces de Rita Back, Lina Peterson, Polly Wales, Jane Adam, Sarah Lindsay i Karen Bartlett. A les vitrines de hi CAA vaig veure peces de Stacey Bentley, Nina Bukvic, Sarah Keay, Clare Hillerby i Jennie Hancox entre d’altres. You can visit the exhibition “A Sparkling Proposal” at Electrum until February 14th. 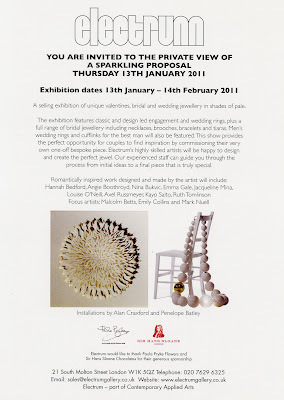 Podeu visitar l’exposició “A Sparkling Proposal” a Electrum fins el dia 14 de febrer. Hannah Bedford, Angie Boothroyd, Nina Bukvic, Emma Gale, Jaqueline Mina, Louise O’Neill, Axel Russmeyer, Kayo Saito, Ruth Tomlinson, Malcolm Betts, Emily Collins and Mark Nuell. 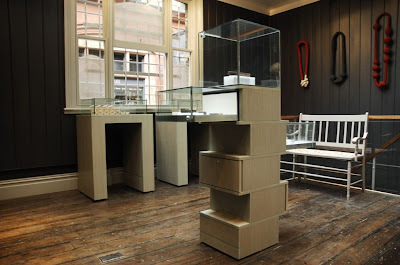 This post is filed under Blog, Exhibitions, London and tagged with Angie Boothroyd, Axel Russmeyer, CAA Gallery, Clare Hillerby, contemporary jewelry, Electrum Gallery, Emily Collins, Emma Gale, Hannah Bedford, Jane Adam, Jaqueline Mina, Jennie Hancox, Karen Bartlett, Kayo Saito, Lina Peterson, London, Louise O'Neill, Malcolm Betts, Mark Nuell, Nina Bukvic, Polly Wales, Rita Back, Ruth Tomlinson, Sarah Keay, Sarah Lindsay, Stacey Bentley.